1 – Why does your company want to work with influencers? Influencers can work well in certain situations, especially if you are trying to draw attention to a new product line or initiative. It’s best to understand the role that influencers can play to see if they make a good fit for what you are trying to accomplish. As always, start by asking what your expected outcomes are, then work backwards. For example, if your goal is to increase sales by 15% in the next quarter, working with influencers alone might not accomplish that. But if your goal is to increase your brand’s share of the online conversation around certain product lines by 15% in the next quarter, then maybe it makes sense to work with influencers to help accomplish this goal. 2 – Work with influencers that have a history of working with companies. These influencers are more familiar with the process, and have a better sense of what your expectations will be and how to meet or exceed those expectations. They will also work with your company to create a specific plan of action based on your expected outcomes. And for those of you that want to work with companies, this is exactly why you should spell that out on your site or blog. I am constantly talking to people that want to work with companies, but when I go to their blog, there is no information on what they can offer companies or that they are even interested in working with companies. You have to let companies know if you are available to work with them in an influencer marketing program. 3 – It’s always better to work with influencers that understand your company, industry and products. Try to work with influencers that have a history of working with companies in your industry. Many influencers specialize in working with companies in select industries or product categories. Ideally, your company would be better served working with influencers that have experience in your industry as they will likely have a better understanding of your space and how to help companies in your industry succeed with their influencer marketing efforts. 4 – Numbers alone won’t tell you which influencers you should work with. I talked about this in January, but the biggest mistake companies make in working with influencers is picking them based on the size of their following. For example from my own experience I know that Twitter users with 5,000-20,000 followers typically send me more referral traffic than a RT from someone with 20,00-100,000 followers. Why? Because a lot of Twitter users with over 50,000 followers use bots and reciprocal or ‘followback’ techniques to pad their follower numbers in an effort to appear more influential than they actually are. The size of an influencers’ network is important, but also look at how engaged the influencer is with that network. Engagement is action, and you want to work with influencers that will compel their followers to take action on your behalf. Look at how many replies, Likes, RTs, comments, etc the influencer gets. In other words, how often are the actually engaging with their networks? It matters. 5 – Influencers or fans: Which is more important? In general, influencers have a larger following, but your fans have a closer and more passionate connection to fewer people. Ideally, it would be the best of both worlds to work with influencers that are also happy and passionate customers of your brand. 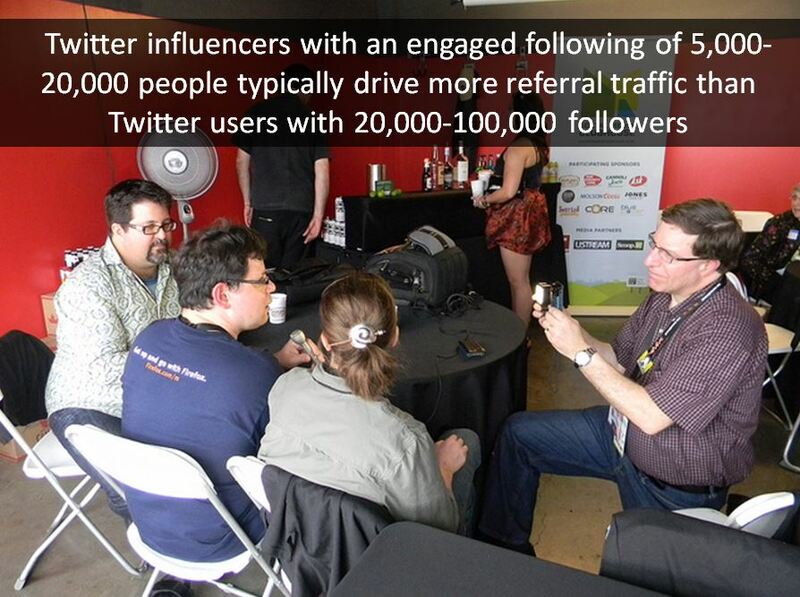 If that’s not possible, then keep in mind that if you are trying to build buzz, typically influencers work better. But if you are trying to build and sustain passion for your brand, working with your existing fans is better. 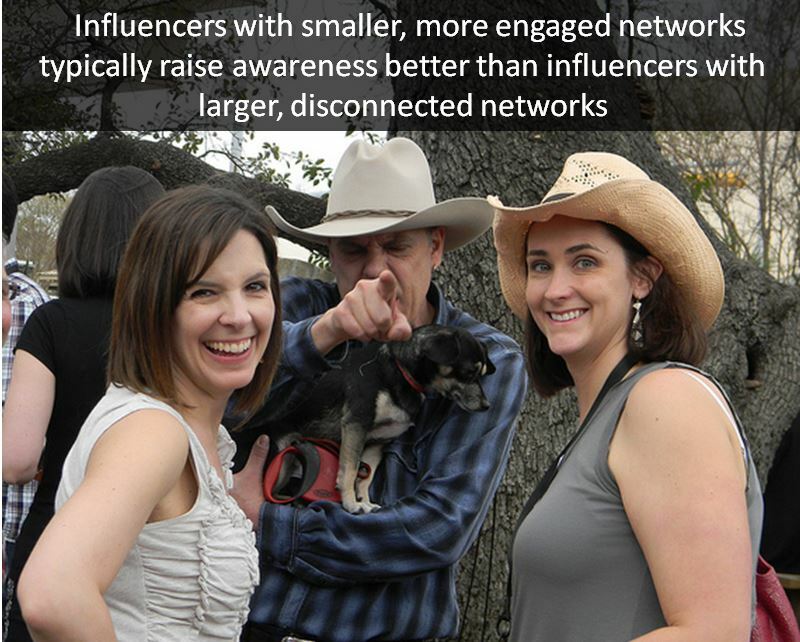 6 – Respect the relationship that an influencer has with his or her network. You want to work with influencers that have developed a level of trust with their network. So be mindful not to ask influencers to put themselves in a position that would abuse that trust. Consider the influencer’s point of view, when you approach them about working together, they will be thinking ‘how can this create value for my readers/followers/network?’ You should incorporate this into your expected outcomes as well, think about how working with a particular influencer will help your company AND how it could help the influencer’s network. Maybe give them special access, a special discount, or something that creates value for them. If you do that, the influencer will be far more receptive to your pitch. On the other hand, if you only consider how you want the influencer to promote you and your products with no thought given to how it affects the influencer’s network, that can easily put off the influencer and kill the partnership. 7 – View working with an influencer as a partnership. Carrying over from the last point, don’t view working with an influencer as they are doing something for you, view it as a situation where both your company and the influencer (as well as the influencer’s network) benefit. You want to view it as a partnership which encourages the influencer to not only do a better job for you, but it also encourages them to work to work with your company again. Calvin Lee: “I wish brands would build a better relationship with influencers and continue to work together on future campaigns, instead of just the one shot deal. Approaching real fans, influencers of their product and services. It’s not always about the numbers. Looking beyond the numbers of followers, likes and reshares influencers have. Brands need to really research influencers they want to use. It’s so easy to buy followers, likes and reshares. Many brands are clueless of who they have hired. I’ve seen so many fake influencers brands are using in their campaigns. Keep these tips and advice in mind when you plan your next, or first, influencer marketing effort. 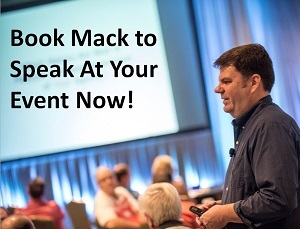 Thanks for including me, Mack! Valid points, all. Hope brands are listening! Thank you Kerry, appreciate you taking the time to help share your thoughts! The importance of quality over quantity applies to social just like it applies IRL. Kerry, Jay, Calvin, and Adel are great examples of how to build an actual community rather than just collecting a large number of “followers”. Thanks, Steve! I’d rather connect with 10,000 people I find interesting and helpful than have 150,000 followers I know nothing about! Smart brands can make lasting connections if they think that way, too. YES Kerry that’s so true! I would rather have 10 friends than 1,000 acquaintances! Hi Steve, I agree, numbers can be easily gamed and are by many. I’ll take someone with smaller number and a closer connection to their network over someone with a bigger network that they never talk to ANY day! Thanks for chiming in! Thanks for the inclusion of my opinion on this very important trend for 2016. Influencer marketing is a powerful tool for any business, just unfortunate that a lot of businesses don’t know how to track the right influencers yet. Great list Mack… for me,#6 is most important. You the brand needs to know there are things I won’t do that may hurt relationships that took me 9 years to build and nurture…. some brands don’t get this. i also #7.. it’s all about working as a team.